New GREAT CHAMPION of Slovakia !!! 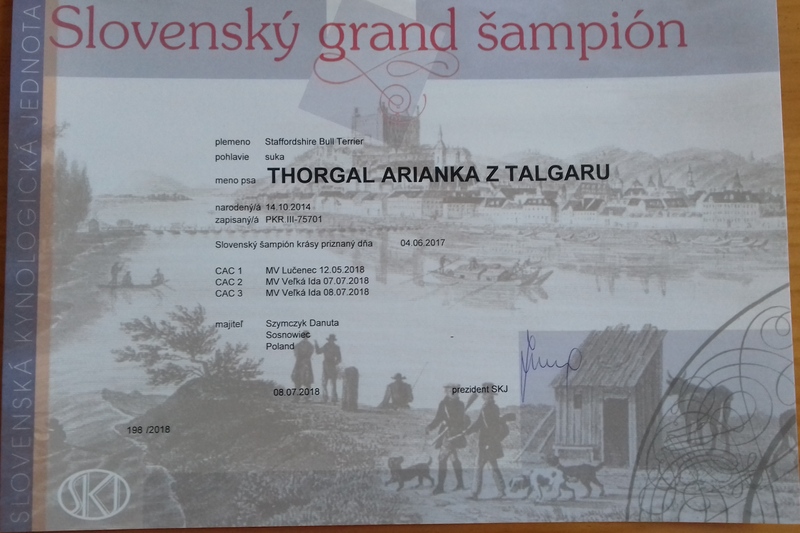 Thorgal ARIANKA Z TALGARU aka Janeczka became the new Grand Ch. SK on Sunday 8.07.2018, winning her 3 CAC in Champion class! Thank you very much to my crazy daughter Sonia for professional handling !! !